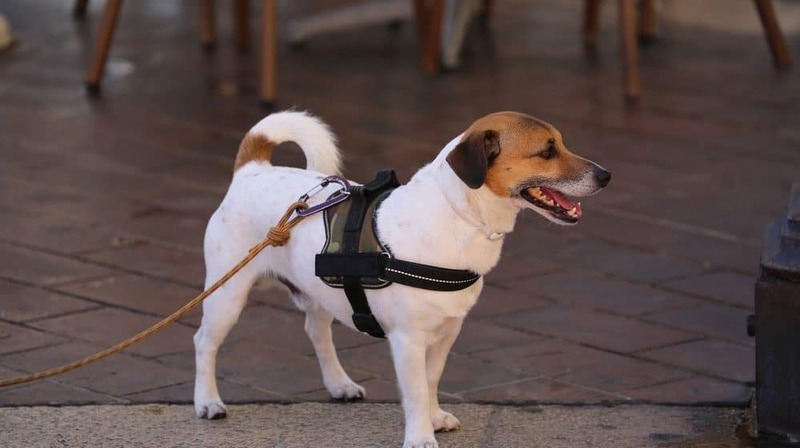 The PETFLY Adjustable harness is ideal for all types of activity. At first glance, you may think this product is meant to be worn only by service dogs; all show, but no function. However, as you look closely at the product, you will see that this restraint is actually durable and quite versatile. Its material and construction make it great for running, walking, and hiking. 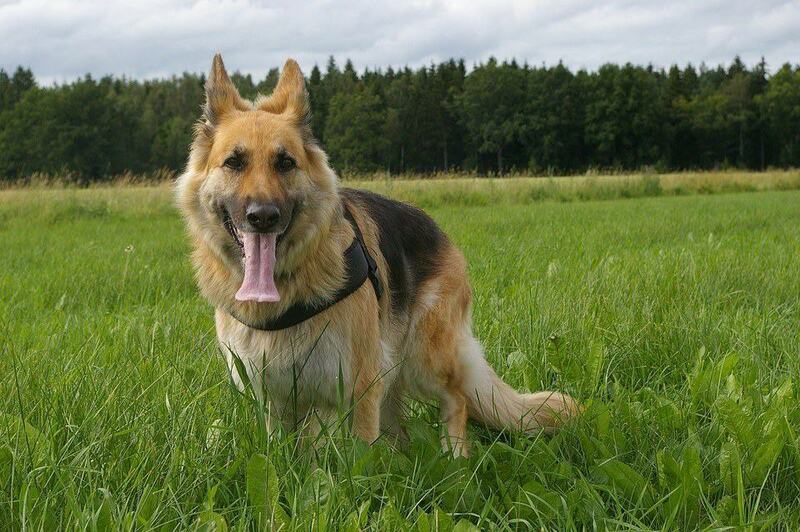 It is also considered a quality no-pull harness, that will not cause discomfort around your pet’s chest or neck area. Although this harness is ideal for hiking, it also serves as the perfect harness for service dogs, emotional support, and therapy dogs. 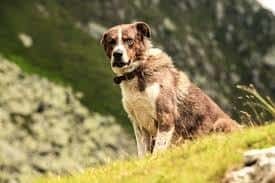 These dogs are required to wear labeled harnesses to indicate that they are service dogs, sometimes wearing them for extended periods of time, which can sometimes become uncomfortable for your service canine. With the large size of the font and print on the tag, there should be no discrepancy in identifying your companion as a service dog. But this product’s lightweight material and simple construction, with one buckle, makes it perfect for service dogs. Depending on the situation, to help control your pet, the D-ring allows you, or you can use the plastic rubber handle. This restraint by Petfly is easy to put on. All one has to do is secure the plastic buckle that is conveniently located on the underbelly of the dog. Depending on the girth of your pet’s neck, a person can easily adjust the strap to get a more custom fit, so your pet can wear it and move comfortably without choking. Also, if your pet is not an actual service dog, then don’t worry. The tags on the side can be removed. So don’t let that prevent you from purchasing this product. Its nylon rubber handle helps create a comfortable grip while lifting or controlling your pet. The heavy-duty D-ring makes it convenient to attach your leash or lead. This restraint is made from high-quality material. The inside is lined with soft padding for extra comfort, and mesh for breathability. Also, the mesh helps contribute to its light, 12-ounce weight. For durability and strength, the product utilizes nylon. Safety is another important feature of this item. Reflective stitching is used so your pet can be seen at night by drivers or other passersby. To figure out the correct sizing for your pet, the manufacturer suggests using a measuring tape to measure the circumference of your pet’s chest. Also, they strongly recommend leaving enough space for four fingers between the tag and the front legs. This hiking harness is made for medium to large dogs, with sizes: M, L, XL, & XXL. A medium hiking restraint will fit a dog with a chest circumference of about 19.6’’ to 24.8 inches, with a weight range of 26.4- 50.7 lbs. Large supports will fit a canine with a chest size of about 23.6’’ to 29.5” and weight not to exceed 64 lbs. An XL size will fit a pet with a chest circumference of 25.5” – 34.65 ‘’ and a weight of 62-88 lbs. Finally, an XXL will fit a dog with a chest girth of 35’’- 48’’, and weight not to exceed 176 lbs. What makes this harness popular is that it is adjustable, so it should not be difficult to find the ideal hiking harness for your pet. The manufacturer suggests going up a size if your pup is between sizes.